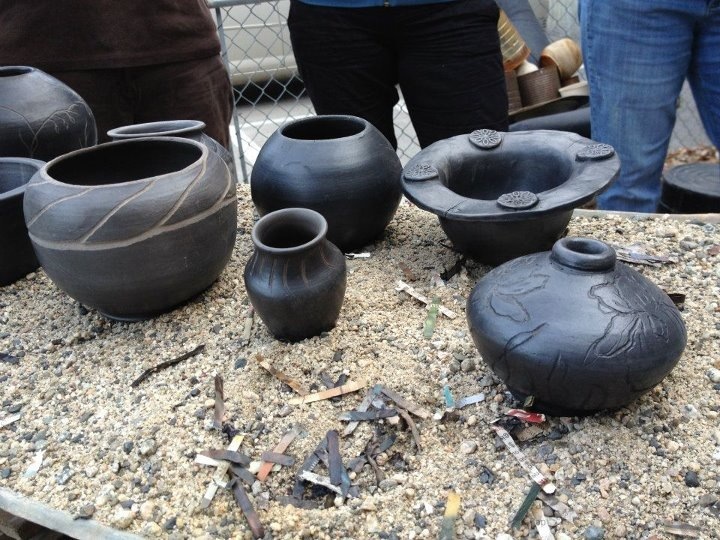 The Okanagan's First pottery School We sell clay, tools, firings and more. ​Join our creative art and painting club. Where professional's come to learn. 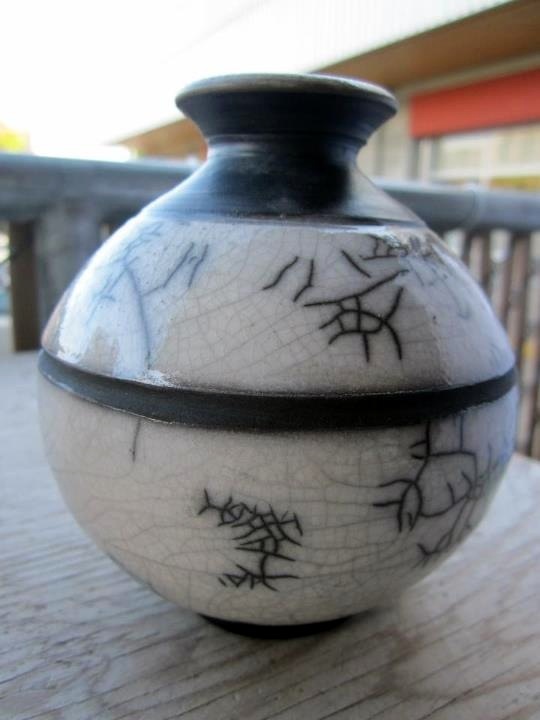 The Potters Addict Studio also serves as a gallery for our member artists. Be one of the first to see the latest work, fresh out of the kiln and HOT on display. Bonnie Anderson, "I love the fragrance of Mother Earth". 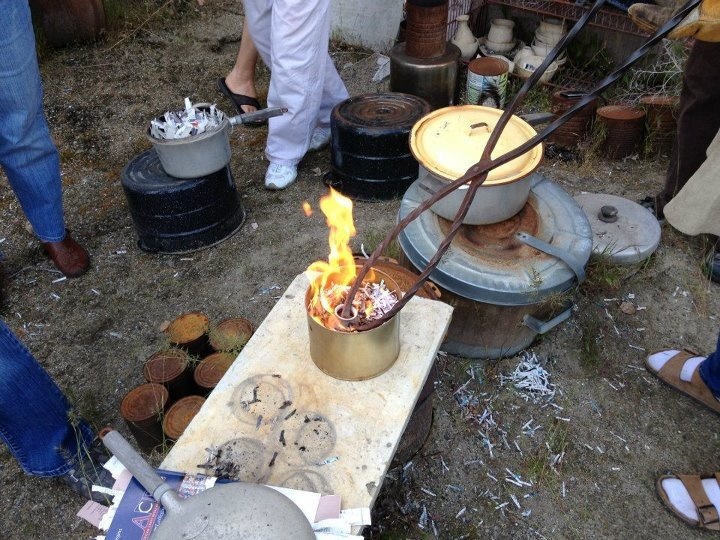 Pottery was applied first with terra sigillata, buffed with a soft cloth then smoke fired in the Raku kiln. 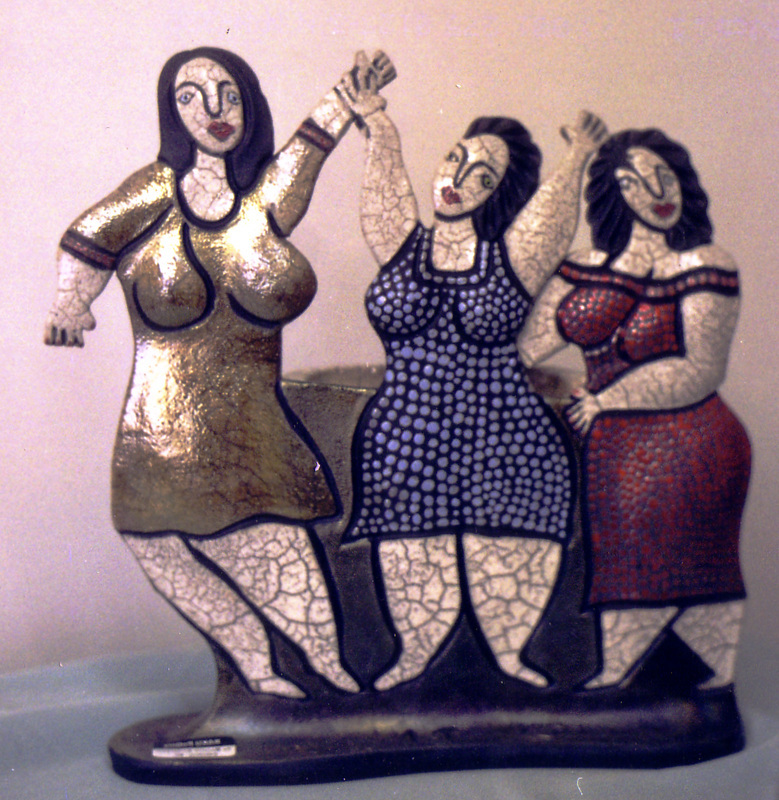 Raku and smoke fire Divas at Potters Addict Ceramic Art Centre. Placing pottery in the reduction chamber. Smokin! 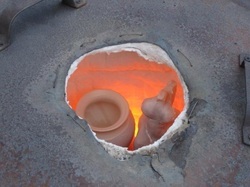 Pottery being fired in a red hot kiln, waiting for the glaze to melt. Don't singe the eye brows! 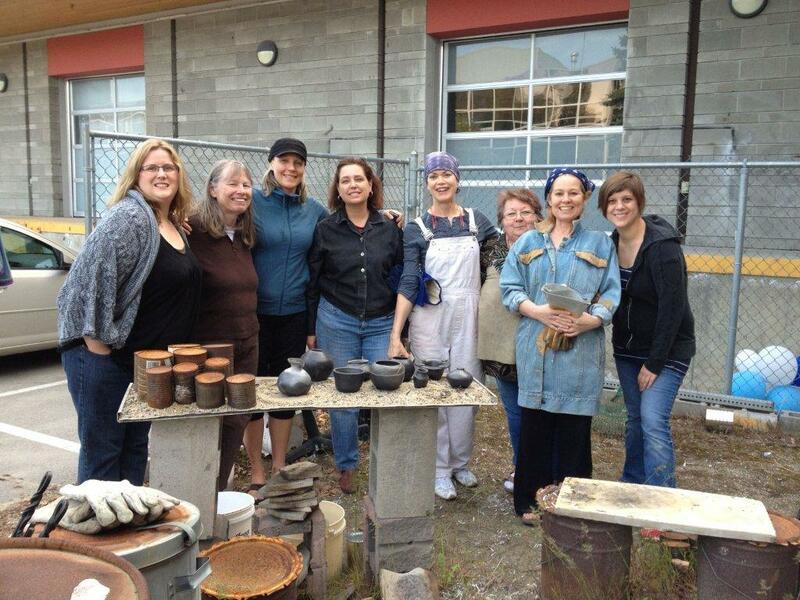 Long time Potters Addict instructor, clay artist and club member Paula Schneider!